Americans are losing the war on robocalls, with 4.4 billion of them buzzing phones in September alone, nearly double the number from a year ago. One man is fighting back, or at least turning the pesky calls into cash. Meet Andrew Perrong, a college student who regularly sues and scores settlements against companies he claims illegally call him. Perrong, from Huntingdon Valley, is ridiculed by opposing lawyers as a "professional plaintiff," and they accuse him of "running a business" through his robocall lawsuits. They claim he sets traps for unsuspecting telemarketers and debt collectors. Andrew Perrong (right) with his father, Harold, at the Dusk Car Show in Doylestown in 2015. But those arguments have proven to be of little consequence. Perrong has filed dozens of lawsuits — at least 45 by one opponent's count — and squeezed settlements from a wide variety of businesses, ranging from chimney sweeps and collection agencies to giants Verizon and Citibank. Perrong notched his first settlement in 2015 while a senior at La Salle College High School in Springfield Township. Now age 21, the robocall warrior attends Catholic University of America in Washington and continues to fire off lawsuits, usually representing himself without a lawyer. "His litigation history makes plain that he seeks [calls] out and gladly receives them" for his next lawsuit, Ballard Spahr's Daniel JT McKenna, who represents a Texas utility that Perrong recently sued, argued in October. "The purpose of such conduct is to make Perrong money." Perrong utilizes the Telephone Consumer Protection Act (TCPA), which outlaws calls coming from autodialers or those with artificial or prerecorded voices unless consumers give prior consent. It also requires businesses to honor "do not call" lists, among other provisions. Consumers can sue for up to $500 per violation and courts can award triple damages for willful conduct. How much money Perrong has made from his settlements is a mystery. He has demanded tens of thousands of dollars in some cases, and most of his suits settled quickly, Ballard Spahr's McKenna noted in court filings. While sometimes searing in court papers, Perrong declined requests for interviews, citing pending litigation and confidentiality agreements. So it's unclear whether his suits are an altruistic effort to combat the rapid rise of robocalls, or if he's simply making money off the companies that call him. Robocalls have become an epidemic. There were 33 billion of them nationwide this year through September, according to YouMail, a robocall-blocking application. That's 101 calls per person. The Federal Trade Commission received on average more than 375,000 robocall complaints per month in fiscal 2017, up from 63,000 per month in 2009. Technology has made it cheaper and easier to send robocalls. 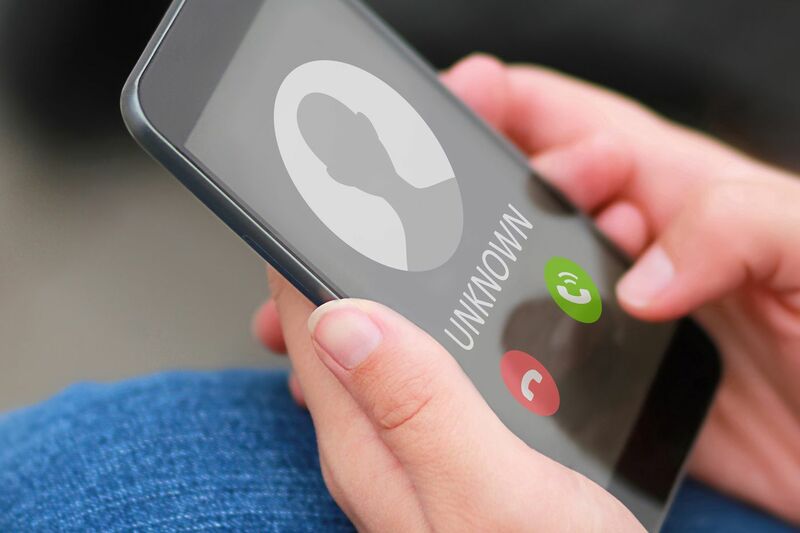 Perhaps the most problematic development has been caller ID "spoofing," which not only disguises a caller's identity, but can make it look as if the call is from a local number. Along with the surge of robocalls has come a sharp increase in the number of lawsuits filed by consumers. In 2017, there were 4,392 federal cases filed under the TCPA, compared with 14 in 2007, according to Michigan-based WebRecon, which tracks consumer litigation filings. Companies and consumer advocates have clashed over the robocall law. Some, including Federal Communications Commissioner Ajit Pai, now chairman, have called the TCPA "the poster child for lawsuit abuse." Others, such as the National Consumer Law Center's Margot Saunders, credit the law for providing legal recourse for real victims who've been harassed by robocalls, and say it shouldn't be scrapped just because some consumers abuse it. Amid this debate, Perrong stands out for the frequency of his lawsuits and the great lengths he goes to catch the companies that call him. He has claimed to own eight phone numbers over the years, his opponents note in court filings, and has cajoled callers hiding behind fake numbers to reveal their true identities. In one case, he scheduled an appointment through a telemarketer, ostensibly to get a home-repair estimate. When a repairman arrived, Perrong took his business card, sent him home, and then sued his company the next day in May, according to his complaint. In another case, he placed an order, froze the credit-card payment so the company would call back, and sued the same day. Serial litigants such as Perrong are like land mines for companies, said Jack Gordon, CEO of WebRecon, the consumer lawsuit tracker. WebRecon offers a "Litigant Alert" service that help companies identify consumers with a history of litigation — a super-serious "do not call" list. The search engine found 23 federal lawsuits for Perrong, Gordon said. Perrong has denied being a professional plaintiff, arguing he’s too busy to be “running a business” of robocall lawsuits. In a proposed class action against retail giant Macy’s, Perrong pointed out he was a dual major in philosophy and psychology, on the dean’s list (3.9 GPA), and worked in the IT field, both independently and as a subcontractor. He’s also studying to be a priest at the St. Josaphat Ukrainian Catholic Seminary in Washington. He owns an airplane, records show. "It is neither true nor plausible that he even has the time to be a 'professional plaintiff,' " wrote Jon B. Fougner, Perrong's California-based lawyer in the recently settled Macy's case. Still, Perrong has found time to help out another regular robocall litigant. He has served defendants court summonses and complaints for James Everett Shelton, a King of Prussia man who has filed at least 30 TCPA lawsuits as of September, court records show. Shelton declined comment. Christine Reilly, a TCPA defense lawyer, said abusers of the robocall law will manufacture lawsuits by providing their phone numbers on online lead forms, then deny they consented to the calls. But she said many companies choose to settle these cases instead of dealing with the time and expense of obtaining evidence, going through discovery, or especially taking it to trial. "These plaintiffs are looking for fairly nominal amounts," said Reilly, of the Manatt, Phelps & Phillips law firm in Los Angeles. "A number that's attractive enough to get the company incentivized to pay the demand so they don't have to pay the lawyer fees." Saunders, the National Consumer Law Center lawyer, acknowledged some plaintiffs abuse the law but emphasized that the TCPA protects consumers who have been harmed by unrelenting robocalls, such as a Florida woman who received 1,845 calls from an appliance company in 14 months. "I'm not working to preserve the TCPA for someone who solicits robocalls and then sues on them," Saunders said. "I'm working to preserve it for people who are abused by robocalls so that we have a private remedy to try to help stop them." Perrong, barely old enough to drink, is already well-known among robocall defense lawyers. Perhaps even feared. "If you have been practicing [TCPA] law on the defense side, and you've been doing this for a good amount of time, you will know Andrew Perrong's name," Reilly said.